I've been a long-time fan of Coastal Scents Hot Pots. 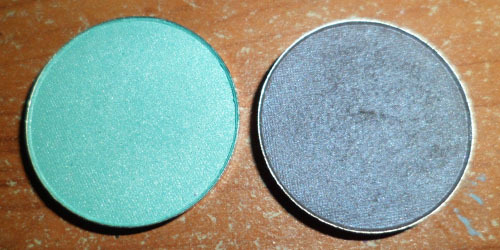 These are mostly good-quality shadows that are great for beginner or those looking for colors for day-wear, as they come in tons of shades, are silky and pigmented but not too strong for those who aren't very confident with color cosmetics. If you want to quickly build up your kit without breaking the bank, I highly recommend checking Coastal Scents out, because you can get 12 Hot Pots for very little money, and a free magnetic, mirrored palette thrown in for free. 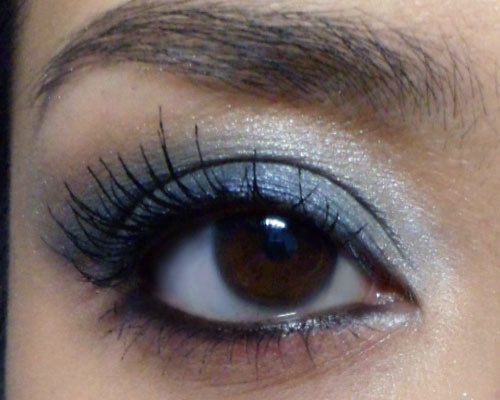 2 of the shades I picked out (I'll post about the other colors separately) were Reef Blue and Gipsy Silver, from their new collections. I also got the Shadow Worx Shimmer primer since I don't own any shimmery primers and wanted to see how a $9.95 primer worked. So far it's been quite good, and I enjoy how I can wear it alone as a cream shadow, although I don't have oily lids, so I can't comment on how well it makes shadows last. Click here for the full step-by-step!